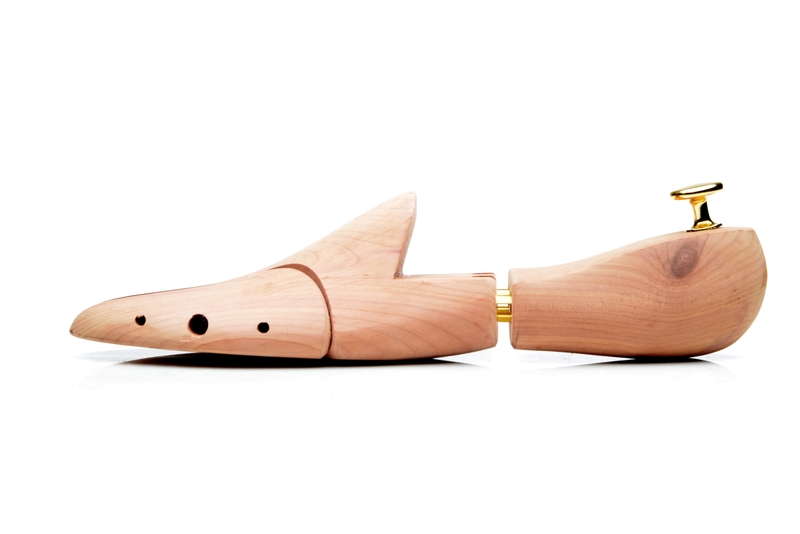 Please make sure to take one size smaller than your shoe size while picking the right shoe tree. You can also check in the table below which size to choose. Naturally, while wearing shoes, our feet exude moisture and salts. The vamp’s leather contracts more and more as this happens and the sole rises upwards. 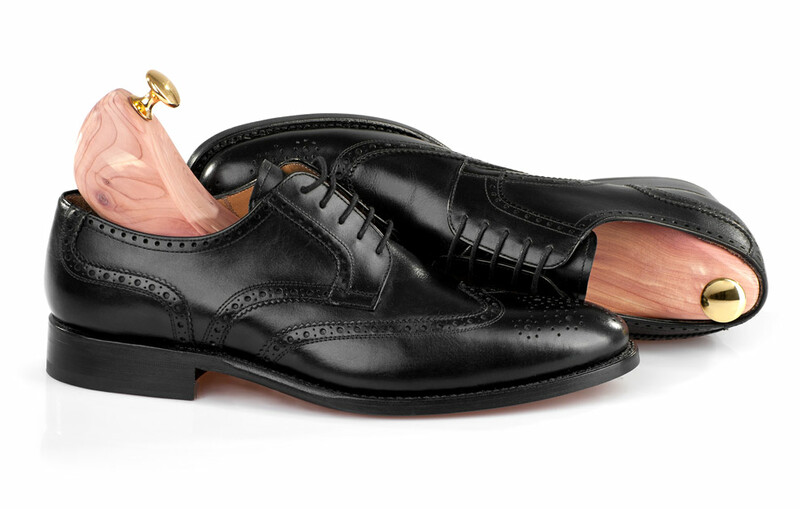 If your footwear is not worn for a long time, they can actually shrink. 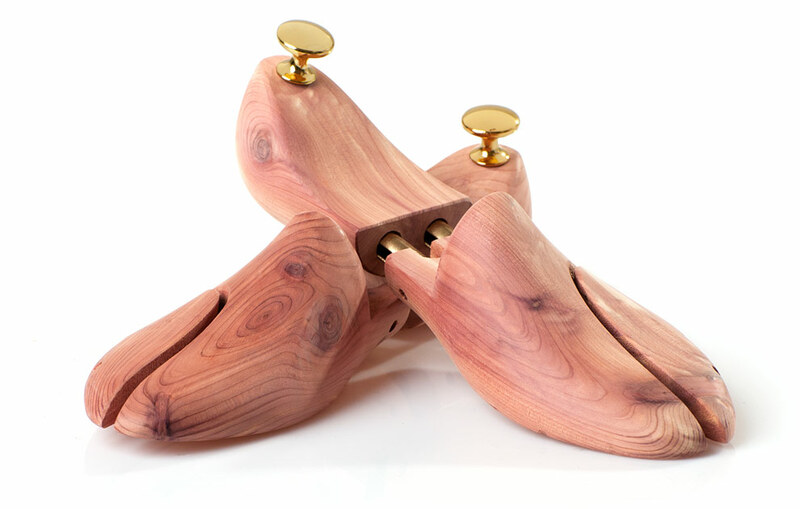 High quality cedar shoe trees help to prevent shrinkage, counteract the development of creases due to wearing and ensure a good foot climate, too. Shoe trees crafted from cedar wood, boast three different parts. 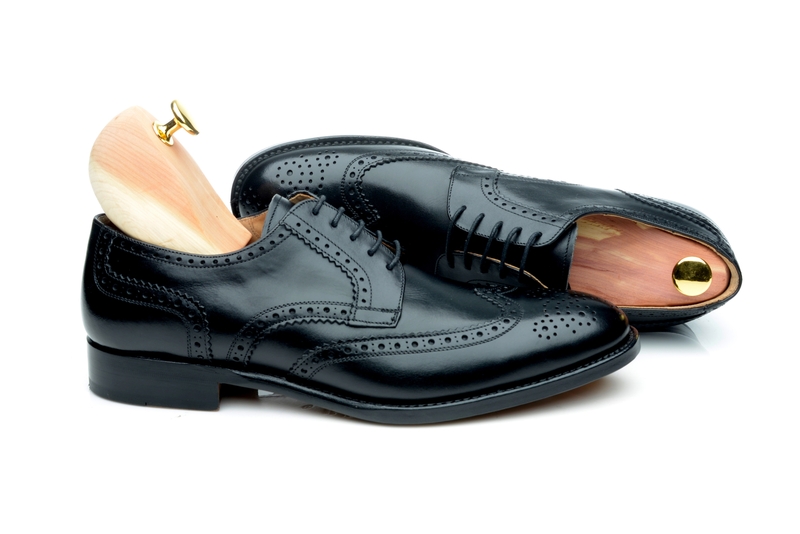 The vamp matches the front of normal business footwear perfectly and boasts a sprung adjustable toe to ease insertion. 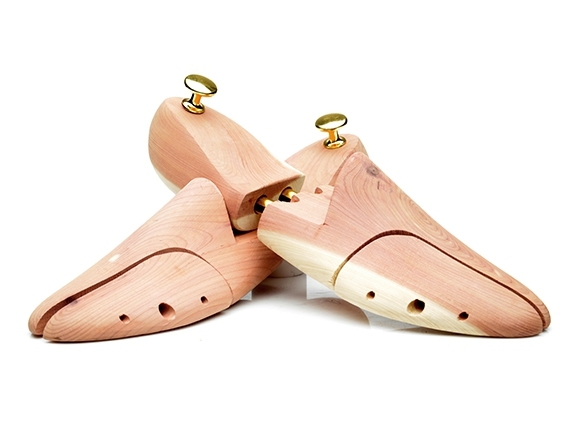 The middle part of the cedar shoe tree is equipped with a double spring which guarantees an optimal fitting. Finally, a rounded counter cap exerts pressure from heel to toe to make a damage of the shoe cap impossible. 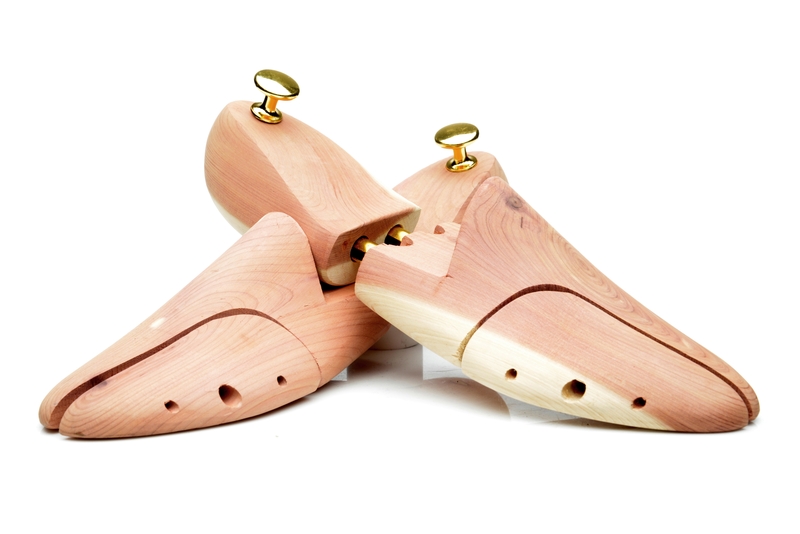 For better ventilation the vamp’s underside of a cedar shoe tree is concave and equipped with three holes on each side to ensure air circulates within the insole. 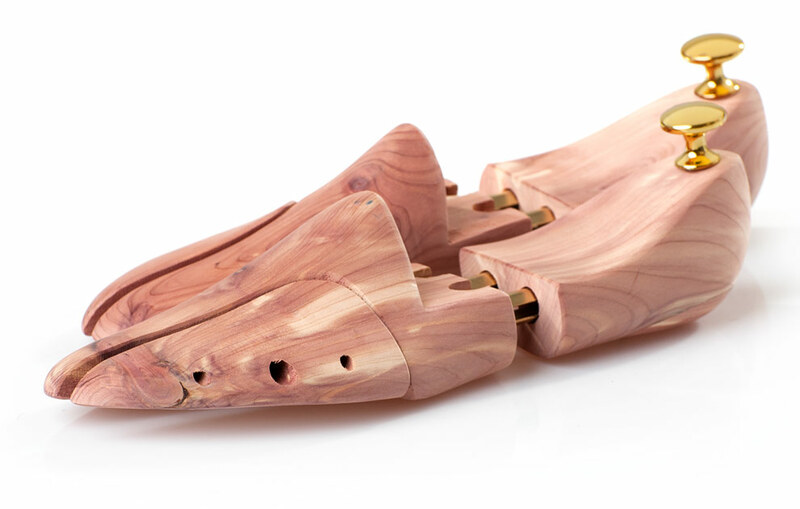 Our high quality shoe tree is crafted from untreated cedar wood. This extremely soft and aromatic wood offers a host of benefits. 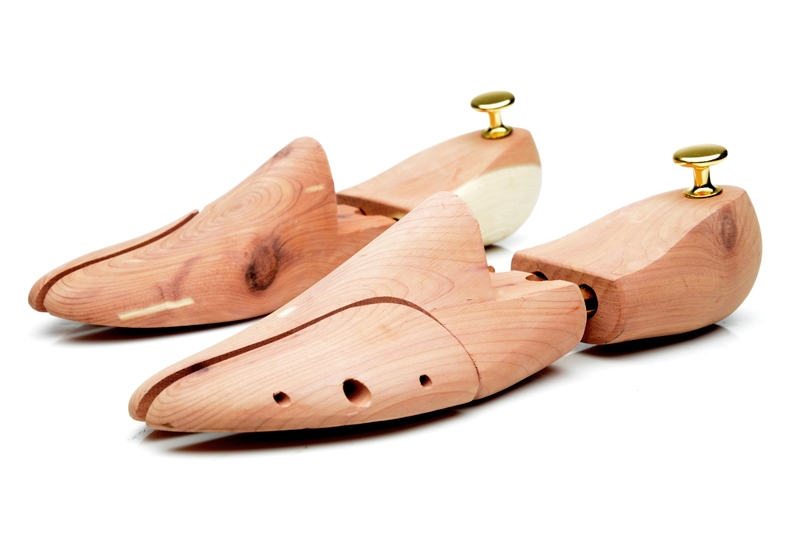 Besides its agreeable smell, cedar shoe trees absorb moisture and salts from the inner linings and even produce its own oil, Thujaplizin, which wards off moths and other pests. 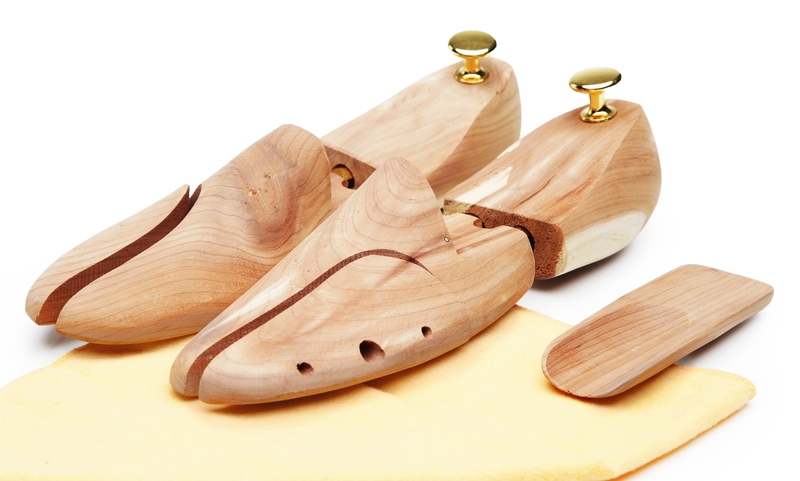 The delivery includes a shoe care instruction, a shoe polishing cloth and a travel shoe horn that is also made from cedar wood. We offer our cedar wood trees in double sizes.